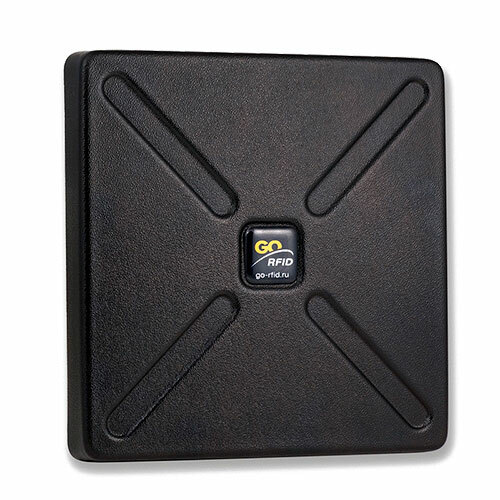 Integrate RFID system for 2 months from 489 $/mo. 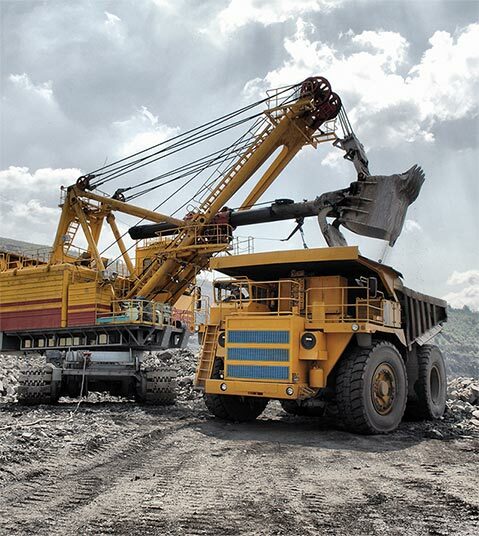 Due to equipment and solutions for extractive industry, carrying the most agressive conditions, it become possible to define current location of the assets, staff or vehicle that leads to safety and efficiency level increase, cost-cutting for a labor force. Necessery to control balances of wellsite and drilling equipment? Maintenance and repair of the assets raise a lot of questions? Not enough full information and use conveniency? Definition of the location and movement tracking of equipment, vehicles and staff is not possible? Required more effective technologies in supply chain management? Required decrise of downtime and manage access in zones of construction, production, refining, housing and repair? Cut costs for equipment repair by 40%? At each stage from exploration of the reservoir to transfering and housing it is necessery to track and consider as factual balances, as leased to contractors or to subsidiaries drilling and downhole equipment. Acceptance, shipping, movement and inventory at the drillsite or warehouse performs without holdings with keeping of all data about equipment. ERP synchronizatiion module and other accounting systems is availible. Each event of «carrying in-carrying out» is registered and controlled by report or system notification. Conditions, enviroment and perfomance of drilling is fixed with associated data, current shift, number and time of enteries and also rated depth for each drilling pipe. Absence of paperwork and exclude of the human factor allows dercise a risk of mistake and reduce ready-use production costs. System allows autonomously and Online to plan and load wided accountings in Excel format on the bottom of condition monitoring. For efficiency and timeliness is availible a function of reports and notifications. For each item of accounting is created the e-passport, which is actual during all Lifecycle of the equipment from purchase to utilization with lifetime data fixation. In e-passport are pegged and then generally updating required documents. In the future employee of the service log onRFID-tag all performed operations: inspection, non-destructive testing, repair, etc. Data includes user information, images, testing history, orders and claims for future works in real-time mode. All operations of repair are recorded in electronical way. On the bottom of conclusion performed automated search and selection of the details or reserved equipment from e-base. Current inventory wil define and exclude drilling pipe which should be repaired or decommissioned. Without this information out-of-date assets may by mistake become a part of a drillstring and then to be damaged during drilling. Control and optimization of an equipment lifecycle, monitoring and defenition of remained lifetime and on-time replacement of worn-out posts. 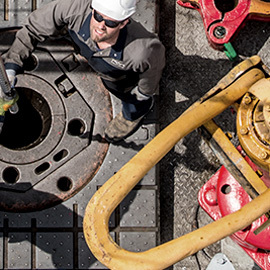 System provides total lifecycle control of a drill pipe and other components. 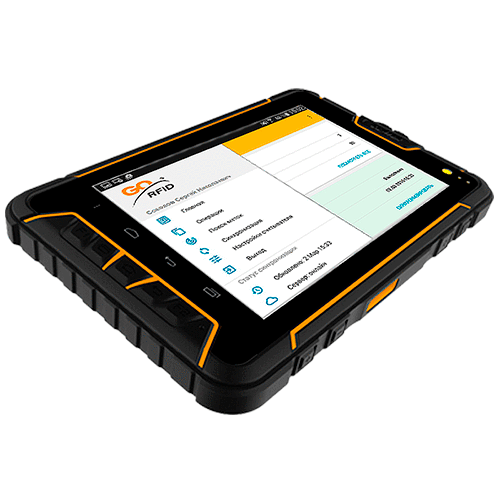 Write and storage the data in online mode with following tracking of inspective history and equipment specification. User-friendly interface simmplifies monitoring. 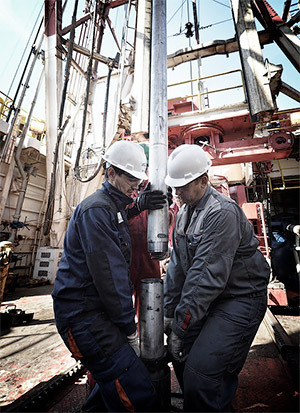 Monitoring and full assets history will help to detect repeating problems to withdraw worn-out posts of the drillstring from exploitation before damage appears. Capability to track and define location of workers, facilities, vehicles allows to maximum efficiency optimize management process at each stage of production, controll warehouse balances, reduce a number of embezzlements and improper use of the assets. Display of workers and facilities in the zone of the signal is performed in a real-time mode in association with assigned track at the territory of construction, production, refining and stowage of a ready-use product. For each accounting object is availible control of checkpoints and choosen postions of movement passing which is formed in the accounting by parameters given. Indentification, chek and adjustment of access rights of personal and vehicles to the certain territory, separate lodgements or zones. Access to the equipment and facilities is also may be controlled and given only for employees, performed preparations and posessing documental confirmation for its exploitation, that helps to increase safety and minimize accidents. When working site contains sluices, tunnels and heavy equipment, work performs at ex-areas and in probable burning conditions, it is important to control access and provide safe enviroment for all participants of industrial process. Also there is a demand of identification automation of the personal and speed-up of evacuation monitoring. Mounting tags on their head-dress or overalls, you may correctly identify and track movement of the workers. For each item creates e-passport, which contains all necessery information and documentation: cartificates and instructions, drawings, parts list, producer information, movement and repair history. As a result, each employee is able to quickly get required equipment information from the producer via the base to suppliers and customers with global online portal of the equipment. Management of the access of employees and facilities in construction, producrion, refining, stowage and repair. Decrease of accident probability in construction, production, refining, stowage and repair ares. Our task is — to configure and implement identification system so that prosess of item’s data collection became easier and clearer and accounting became real time source of data helpfull for strategical decisions. UHF RFID antenna, increased reading range, a universal solution for industrial enterprises. 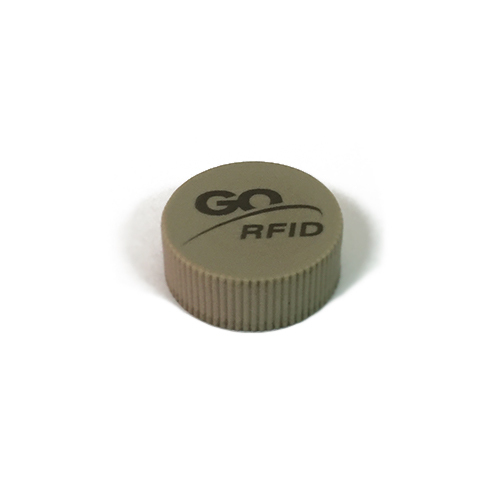 Compatible with all RFID readers.